People come to me and ask all manner of questions about VA things. I get a bang out of Vets who ask if they should dress “up” instead of wearing their usual attire. Well, there’s always an answer to any good VA question that might turn a few heads so I’ll give you a few pointers. These are my favorites I’ve encountered over my twenty seven years playing poker with VA. Mind you, these ploys aren’t anything I’ve done. Can’t say I hadn’t thought about a few but I have a fertile mind that rarely bears fruit. 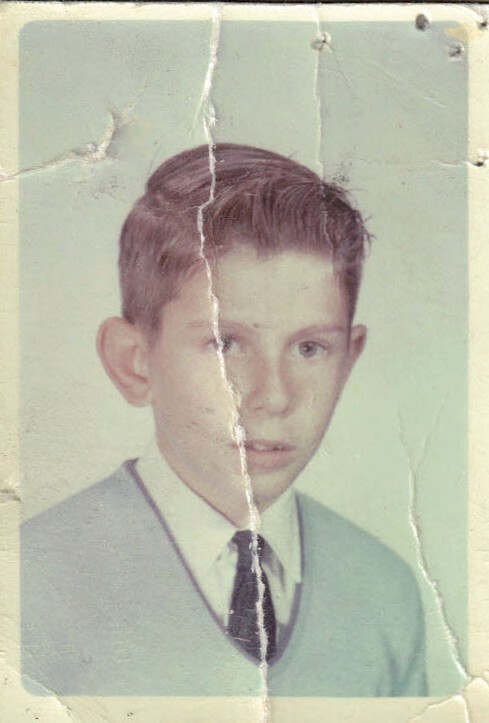 Used to be I was always the kid who got caught shooting spitwads in study hall. Yeppers. That was me back in the back. For purposes of evaluating conditions in § 4.114, the term “substantial weight loss” means a loss of greater than 20 percent of the individual’s baseline weight, sustained for three months or longer; and the term “minor weight loss” means a weight loss of 10 to 20 percent of the individual’s baseline weight, sustained for three months or longer. The term “inability to gain weight” means that there has been substantial weight loss with inability to regain it despite appropriate therapy. “Baseline weight” means the average weight for the two-year-period preceding onset of the disease. So the way to do this is to eat a 10 lb cheesecake and pound lead wheel weights flat into shapes that fit into your old rubber boots and your pants pockets. They’ll make you take off a jacket if it’s too bulky. You show up and weigh in at 200 when you really weigh about 170. In March, sans wheel weights, you suddenly have “lost” 30 lbs – or about a 15% loss. 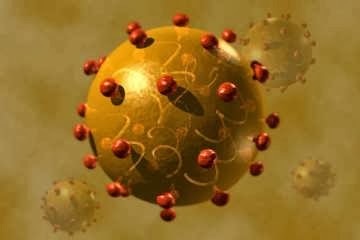 If you have hepatitis C, this is a dramatic drop and indicative of nausea and emesis, anorexia and failure to thrive. If you throw in a bit of dieting, you can really appear emaciated. Speaking of liver dysfunction, if you really want to roll down the gastro doc’s socks, put a small drop of FD &C #3 yellow food dye in each eye for the Sclera Ictera from hell. They’ll run a bilirubin test on you and be scratching their heads when it comes up normal. The Maybelline eye shadow just gives you that ghoulish look . You can also accomplish this by staying up for 40 hrs before the C&P. Obviously, the only way to get any bang for your buck is to have an indoor shooting range or a place where you can safely discharge a handgun just prior to departing for the hearing C&P. But not just any handgun. You’ll need to use a supersonic round such as a 9 mm, .41 cal., .357 or .44 magnum. The reason is elementary. They’re hypersonic. Absent any hearing protection, you’re good to go for 40% after about six rounds. Most (but not all) of your hearing will come back in the following weeks. After preparing for about five hearing tests this way, you’ll begin to notice a high pitched ringing that never goes away. That’s called tinnitus and it’s nothing to worry about. It’s good for another 10% on top of any hearing loss. Just make sure you tell them its near-constant and strikingly loud. We don’t think of this as cheating. You can remember back when you were firing those 155s for effect on Firebase Bronco at 0200 in ’68 where your ears felt exactly the same for a few weeks. All you’re doing is approximating the same or similar conditions to make the tests more authentic. And don’t bother the technician with these details. They’re too busy doing the tests and calibrating their machines. You don’t want to distract them and run the chance of coming up with flawed data. Mum’s the word here. Trust me. Much has been said on this topic. My advice is simple. You begin preparing for this test the moment you get a C&P date mailed to you. Immediately don a pair of clean sweatpants and underwear. Jesus boots or other sandals showing your bare feet are de rigeur. This will be your sleeping and waking ensemble until the exam. No bathing is suggested to more closely approximate your two week deployments on LLRP back in Qui Nonh in 67. If the aroma becomes too heady, Right Guard is okay if used very sparingly. Let your whiskers and beard go free range. If you have an imperfect beard that has patches, this looks dynamite. If your hair isn’t greasy enough come Exam day, smear some butter in it and reach up and scratch it occasionally and mumble something sotto voce like ‘f—kin’ bugs’. It is important at the beginning of the exam to move your chair as closely as possible to a corner. If there’s a window behind you, frequently jerk your head around and look back for a few seconds. When you return your gaze to the doctor, make sure he’s aware that you definitely saw something. Nod your head over your shoulder and say ” See what I mean?” Never smile. Never laugh. Wiggle your toes and feet a lot. Begin sentences and trail off without completing them. About every ten minutes, slam you fist down on your thigh a few times. Let lemon juice dry on your fingers and hands a half hour before you go in. Don’t touch your face. About five minutes into the show, rub your eyes a bit. Hum Eric Clapton’s Cream hit If it wasn’t for bad luck, I wouldn’t have no luck at all. You want this dude to just know that you’ve been down since you began to crawl. Empathy is the name of the exam game. Never be afraid to improvise but always practice it before you attempt it. If you’re having lunch at the Shoney’s Big Boy afterwards and left your Canadian crutches back in your car, it’s going to mega screw you up if the C&P examiner is sitting a few tables away observing you quite by accident. I don’t recommend dining anywhere within a five-mile radius of a VAMC after a C&P nor leaving any props out of reach until you’re safely back home. So there you have it in a nutshell. You get the general idea. I certainly don’t need to teach all you Walmarket® “Slip on the Floor Club” members. Hornswoggling the VA is a science and requires a keen mind and an agile wit. They probably read these blogs so you have to know someday the old wheel weight game is going to get busted. Think outside the box. I hear LSD and Disco Biscuits (MDMA) are excellent prequels for Schizoaffective Disorder C&Ps and they don’t show up in the urine screen. And for Heaven’s sake, don’t go in there reeking of booze or pot. That will throw cold water on the whole thing. Wait until after you get your rating and then add one or both in as an Axis 2 addiction secondary to the PTSD or MDD. The idea is Think the disability, See the disability-Be the Disability. Own the disability. And last but not least, Build and Increase the Disability. Study, study, study. P.S. Gee, I didn’t think I’d have to add this but there are always VSOs who show up and think I’m serious. The answer is no. This is not a serious article. Does it endorse cheating? No, it does not. It’s my demented humor and love of life that produces it. Well, that and all those stories you all send in to me. The yellow FD&C #3 backfired on the Vet because he didn’t dilute it. His eyes were almost orange from what I heard. Had they been that dark, his AST/ALT would be in the 2600 range. Busted. The guy with the wheel weights pulled it off from what I hear. One thing is guaranteed. If you cheat, your chances of getting SC for anything are nil. It’ll follow you around like a felony conviction. To my knowledge I’ve only been fooled by one Vet who was a drug addict. He won HCV based on tattoos when he probably contracted it from shooting up heroin. Ever since, I’ve been very careful to vet the Vet. Just for the record, and for Abby and Mr. Tetrault, Esq. (see below), this is pure, unadulterated humor meant to entertain-not inform or condone fraud. As an Officer of the Court, I am not allowed to condone or encourage this behavior. This entry was posted in Humor, KP Veterans, Nexus Information and tagged ASKNOD BOOK, asknod.org, asknod@wordpress.com, Disabled Veteran, DIY vA Claims, Gulf War Claims Help, Gulf War Vets Help, HCVETS, VA C&P Exams, Veterans Benefits, Veterans claims help, Veterans Humor, Vietnam Veterans Claims Help.. Bookmark the permalink. In a surprise move he advocates lying to get money. Good job Mr. Integrity. What a bunch of scum-sucking freeloaders. It’s said people like Ms. Abby are forced to troll these sites looking to get a rise like a bass striking a Mepps Spinner. Obviously, she failed to read the article in its entirety to understand the humor. Short concentration spans are a sign of impending Alzheimer’s but she’ll figure it out. Sad to read this advice. I represent veterans before the VA and know too many suffering veterans who are waiting in long lines for the VA to approve their valid claims. 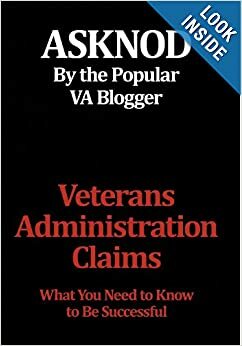 I do not support scamming the VA by faking any disorder. Gee, Mr. Tetrault. What a coincidence, sir. I, too, am an accredited VA practitioner and at the bottom of my post you will see it is filed under humor. I do not condone cheating. Everyone who is an officer of the Court is required to observe that. If your reading comprehension is so scant, as to misread this as a”how to” for Veterans to cheat, then I pity your ability to actually represent them. Tell me this is your idea of tongue-in-cheek humor. Oh for Pete’s sake Mr Tetrault, it says the weight has to be “sustained for three months or longer”. So you would have to fake it and then 3 months later fake it again.